Foliage decline may occur in hot summer climates, particularly if soils are allowed to dry out but also if soils become too wet from periods of heavy rain. Berries are extremely poisonous if ingested. 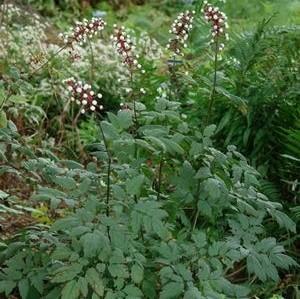 Primarily cultivated in woodland and shade gardens for its attractive white berries and astilbe-like foliage. It naturally occurs in deep woods, north-facing wooded slopes, bluff bases and ravines. Tiny white flowers appear in spring in short, oblong terminal clusters atop long greenish stems rising above the foliage. 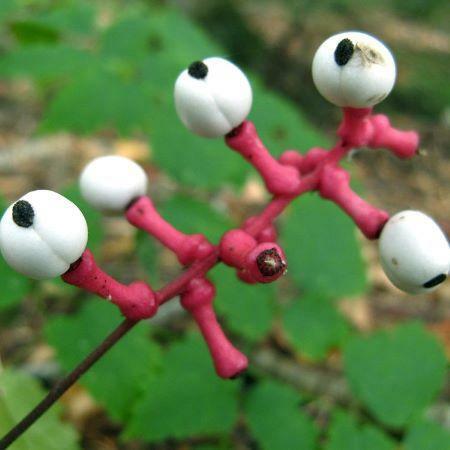 Flowering stems thicken after bloom and turn an attractive red as pea-sized white berries develop in summer in elongated clusters.